Related: Be sure to check out all clearance items. You never know what you can find and what can be a blessing to your family! You can see some clearance finds of mine here. I love having breakfast foods ready to go in the freezer. The cinnamon twists are a great example. The kids love them and they freeze well! To have the children be able to go right to the freezer, grab what they want and pop them in the microwave for a great breakfast is so great. First, you need to flatten the biscuits with a rolling pin. I used Grand Biscuits so they are larger and have more dough on them. I like to cook bacon in the oven. It cooks so evenly and is much less of a mess! While the bacon cooks, you can scramble up the eggs. 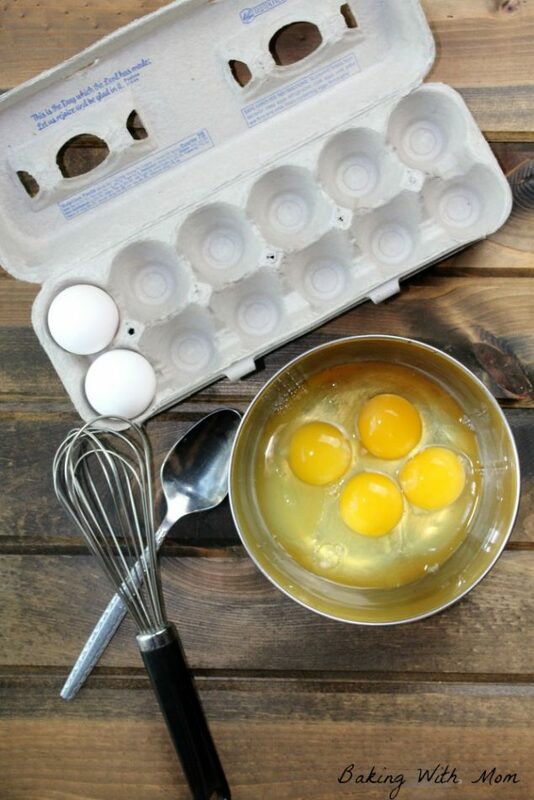 Use four eggs for this recipe. 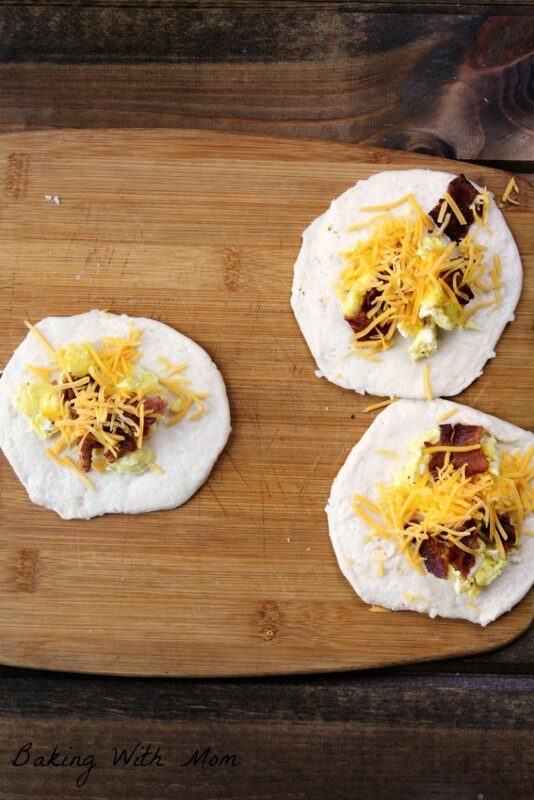 Then layer eggs, bacon and cheddar cheese (or use Colby Jack) in the center of the biscuit. 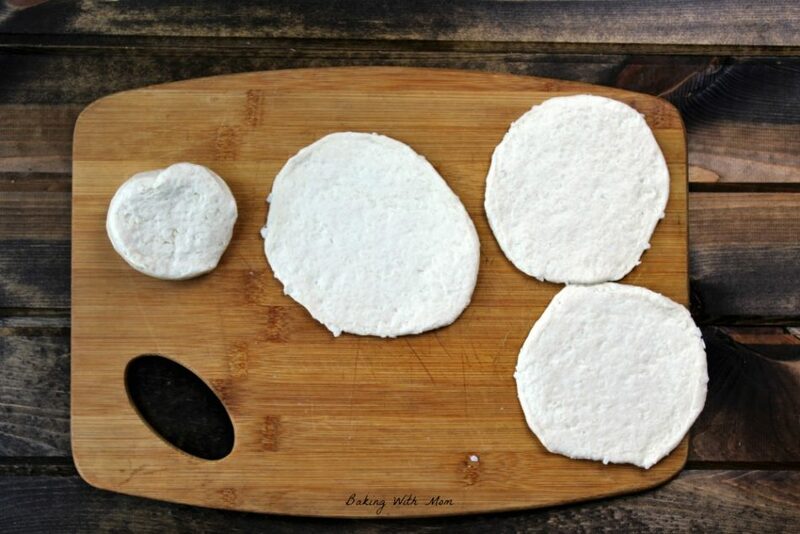 Fold the sides until they touch on the bottom of the roll and the filling is completely covered. I rolled the biscuit around in my hands a couple of times to “seal the deal”. Place in a greased 9 inch baking pan. Bake at 350* for 20 minutes or until the biscuits are done and are a golden brown. 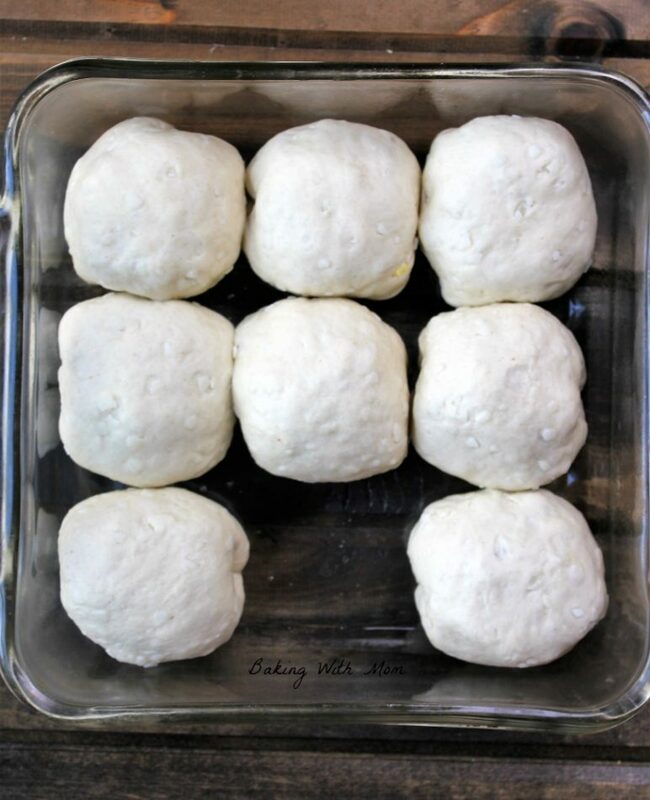 The inside filling is already cooked prior to baking so you don’t have to worry about that. 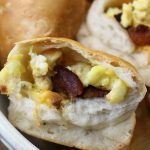 What you have inside is a delicious warm breakfast great for those busy mornings. Simply place the cooked biscuits in a freezer bag and place in freezer. They will freeze individually so you don’t have to worry about them sticking together. Just make sure the bag is placed in the freezer flat. 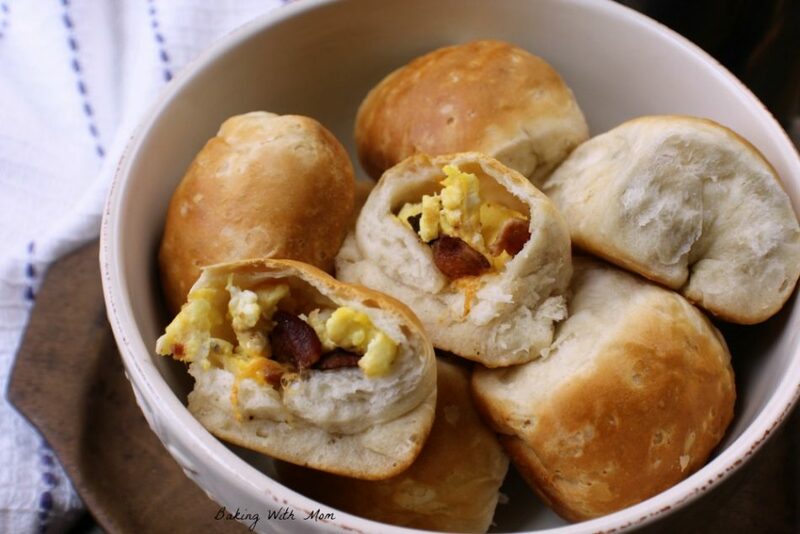 Breakfast Stuffed Biscuits filled with eggs, bacon and cheese. 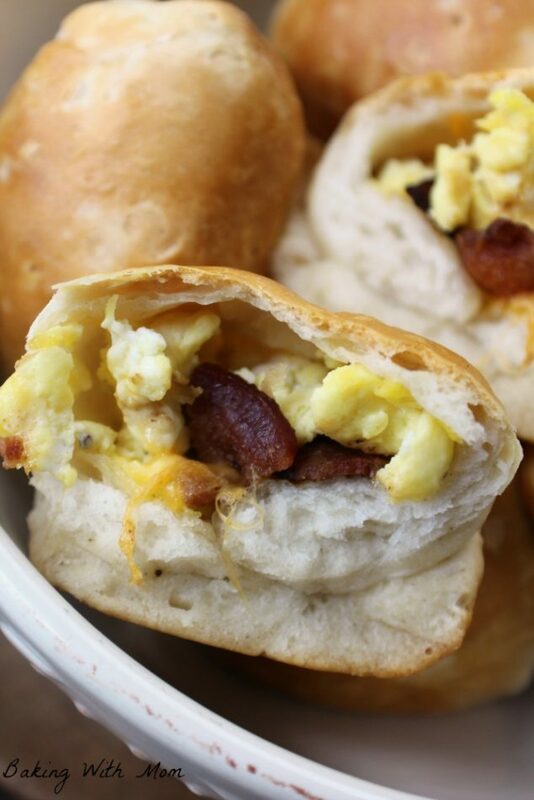 Wrapped in a biscuit, this breakfast is freezable for easy mornings. How long do you pop in microwave to cook from frozen? 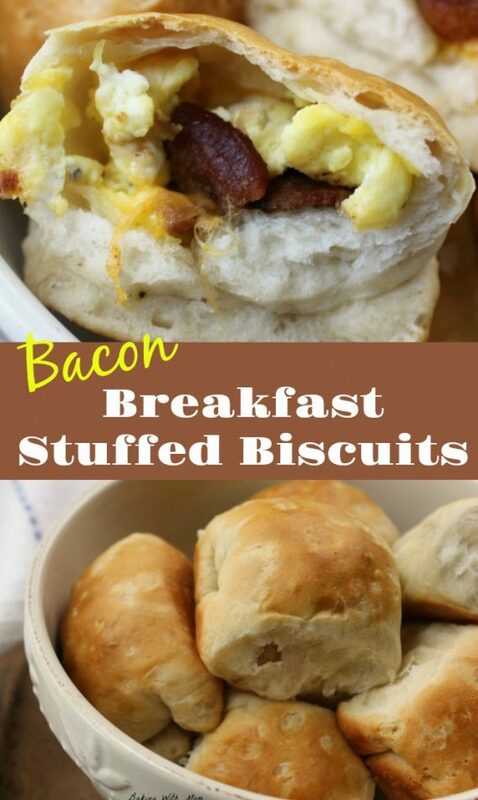 These sound amazing and perfect for busy mornings!